A Response to Loss: How Do We Lead the Conversation for our Young People? When we founded ACA it was with the belief that our young audiences are intelligent, sensitive, and capable of creative thinking. Our work never takes them for granted, and strives to challenge their imaginations and acknowledge the complexity of their emotions. Our current production, FAILURE: A LOVE STORY, addresses themes of love, as well as, and perhaps more importantly, loss. It illustrates loss of animals, loss of attention and affection, loss of people, all real things our young people must navigate regularly, but are seldom given the opportunity to discuss or name. It poses the question, how do you move on in the wake of loss, and also the answer that just because something ends, does not mean it wasn’t important or successful. 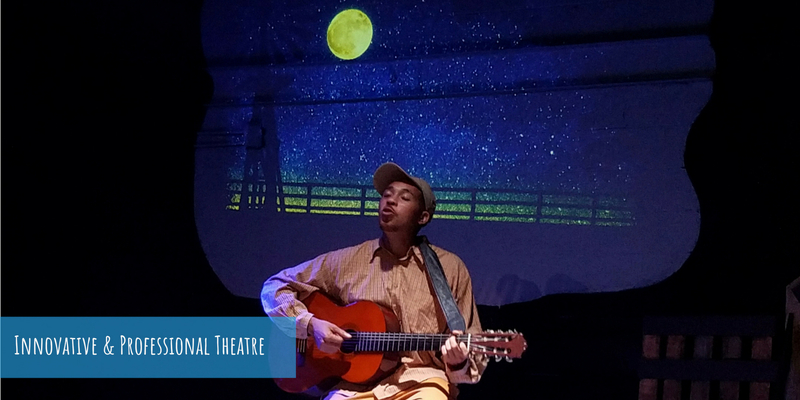 Over the past week we’ve had audiences of all ages attend this production, including as young as pre-school age. We’ve received feedback that the play tackled difficult and complex themes in an appropriate way, and audiences have not been surprised to learn that a child psychologist was consulted in the writing of this work, to ensure that themes were introduced gently and in a tone appropriate to all ages. Today we came to a difficult dilemma. 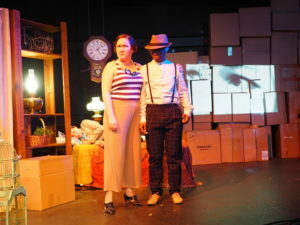 A kindergarten group was attending the show, and 25 minutes into the production, half the teachers in the group felt the content was not landing with their students and that the performance should be stopped. The other half wanted to stay and see the show through to its completion. Ultimately, we stopped the show and had a q&a with everyone in the audience to talk about feelings. While a child chanted “I loved it! I loved everything about it!” a teacher prompted us to explain why we felt this story is important, why people should see it. Our answer: whether we name it or not, our young people are grappling with complex issues all the time, and we as an artistic institution exist to give them a safe space to unpack and analyze life, to practice being an empathic human, and to think deeply about our world. We invite you to join us for the remaining shows, and hope to see you at the theater.